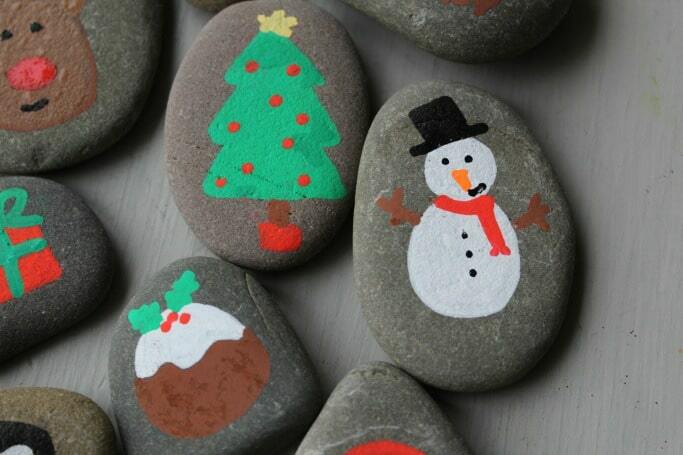 My kids love painting and finding rocks and these simple Christmas Rock Painting Ideas for Kids are a great way to help inspire their imaginations. 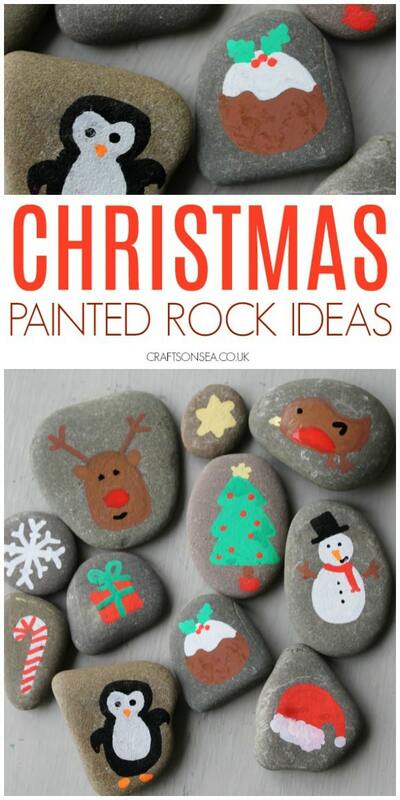 We love rock painting ideas for kids and originally used these to make story stones which are a great way to encourage a bit of creative storytelling too so I’ll be telling you about both ways the rocks can be used with children and also sharing some more rock painting ideas (including some festive ones) that I think you’ll love! Rocks – kinda obvious right? Don’t take the ones off the beaches but they’re easy enough to find in gardens and clean up or you can buy them online if you’d like to save yourself the hassle! Pens – normal pens do not work well for this so you will need something a bit specialist, I used Chalkola pens for these painted rocks but I really like these ones too. Some people use paints for rocks but as both me and my kids are used to holding pens we find them easier to draw with, go with what works for you. Varnish – chalk paint can rub off stones after a while. While you’re painting the stones it’s actually pretty handy to have a paint that’s not permanent (I’ve successfully removed the paint from kids faces, hands, my dining table and the floor just with baby wipes or a wet cloth) but if you want these to last a long time and especially if you plan on hiding the rocks outside you’ll need some varnish – I use this varnish which is a UK one but I’m struggling to find the US equivalent so if you know of a good one please let me know! To make these rocks I used a mixture of both the normal and earthy coloured Chalkola pens to get the colours that I wanted. I like these pens because they’re non-toxic and water based which means that any mistakes can be removed pretty easily with a baby wipe or a wet cloth. When you are making your painted rocks make sure you leave time between each layer of paint drying otherwise the colours will bleed a bit. 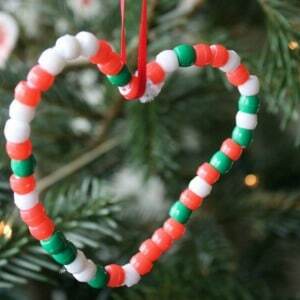 Like this activity? Make sure you bookmark this page or pin an image so you don’t forget about it. Want more ideas? 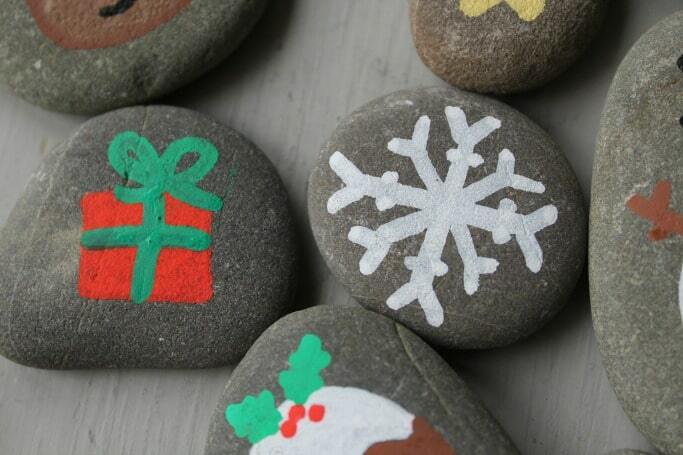 Keep reading for how to use these as story stones plus some more fun Christmas crafting inspiration. 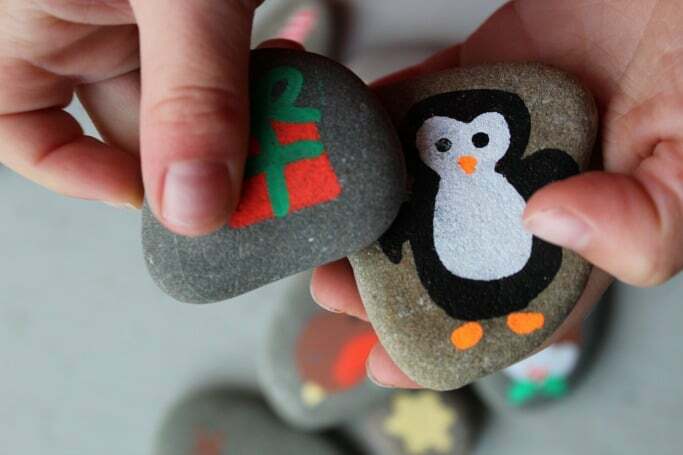 My kids loved playing with these Christmas story stones and made up some great stories about a penguin and a snowman that were best friends! Story stones are a great way to encourage your children’s story telling skills and encourage their creativity and vocabulary. We did all our storytelling out loud but you could use them as a way to help create a story to be written down too. Could you take turns to make up the next part of the story for each rock? 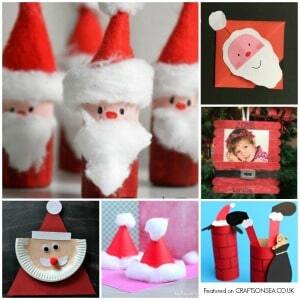 Finally we loved these cute Santa crafts for kids – too cute! 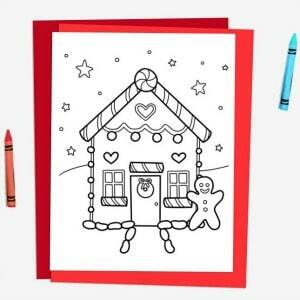 Disclaimer – I was sent the Chalkola pens to review, all opinions remain my own.